Brinkmann’s heaviest turntable keeps on running and running and running… with legendary quietness. 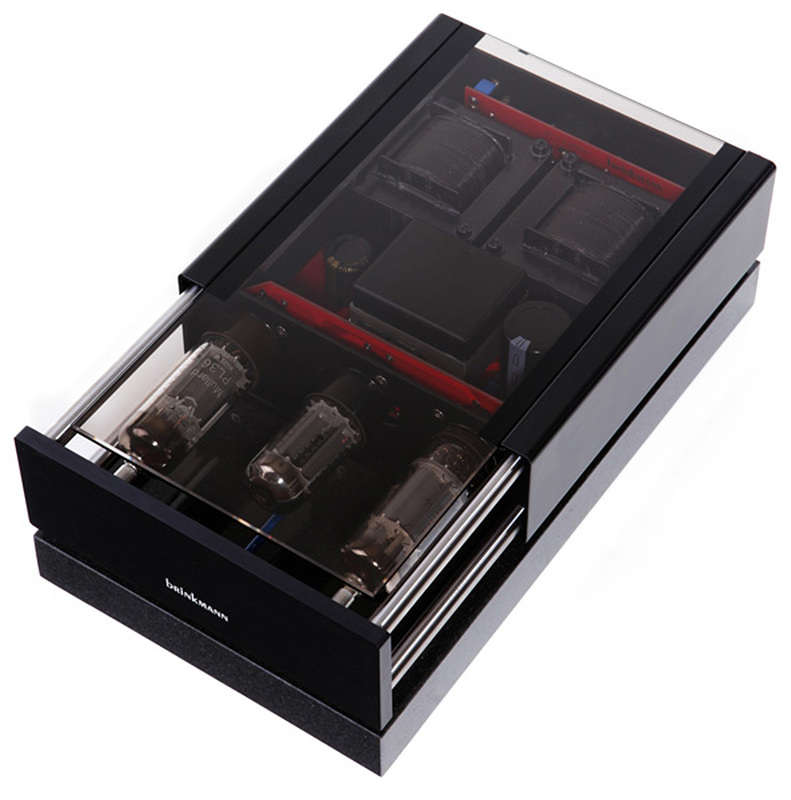 Since its introduction in 1984, the Balance combines timeless beauty, highest sound quality and perfect build quality. The basic design has remained the same, but in the best Brinkmann tradition, the turntable has seen continuous evolution und sonic optimizations. 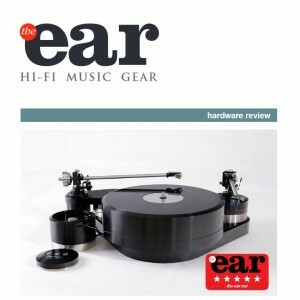 Hence today, the turntable is state of the art in terms of aesthetics and technology while sounding better than ever. Little wonder then that the Balance is used as the absolute reference turntable not only by Brinkmann, but quite a few renowned publications as well. The Balance has received quite a few awards over the years: the “Gold Medal” for turntables from the “Image Hifi Millenium Awards” and the “Blue Moon” award from www.6moons.com. 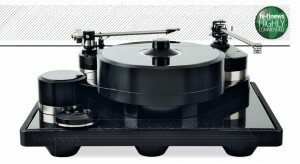 The turntable is available in black/brass and black/high grade steel finish and includes chassis, tonearm base specifically drilled out for the tonearm to be used, platter, record clamp, motor with switch unit and a transistorized power supply for the bearing temperature control and the motor as well as tools for adjustment, cables etc. Additionally available as options: separate tonearm bases, a tube-driven power supply and a sandwich support made from aluminium / granite or a complete stand. 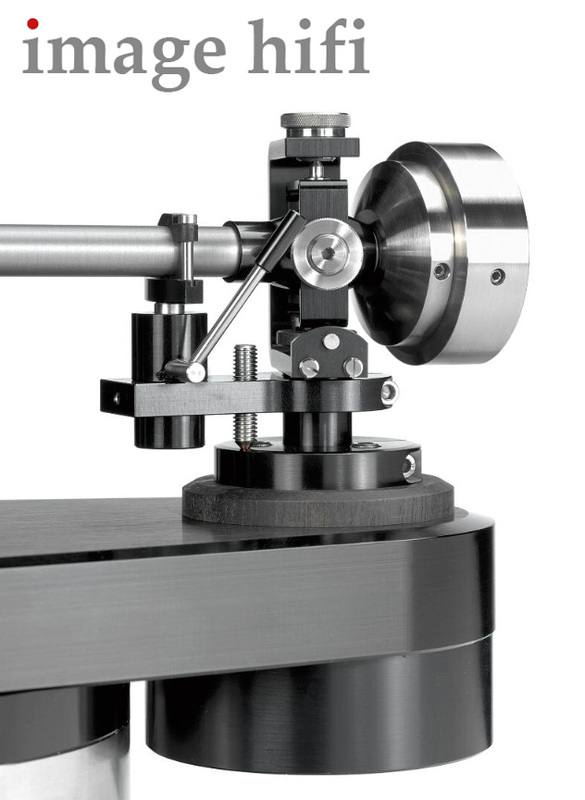 The chassis is milled from a 40mm strong dural-sheet and features the intakes for the bearing and tonearm base. A special clamping technique enables the user to change to other tonearms, each one installed on it’s own base, within a few moments including the most precise adjustments. The intake for the tonearm base fits like a draw-in collet and can be fixed or loosened via a single screw. This allows the user to adjust the effective length of the tonearm with the base being allowed to rotate freely. The most precise element of a turntable is the bearing and especially with the BALANCE it was most important to drive its 20kg platter without any reeling. The necessary precision can only be obtained by working on the temperature dependance of the material. Brinkmann has managed to reduced the temperature dependance of the material close to zero via the use of a specific electronic temperature control. A power-mos-fet, installed beneath the bearing, produces with the help of this control circuit around 15 W power dissipation that are needed to generate a stable temperature, which in turn guarantees an absolutely smooth rotation of bearing and platter. 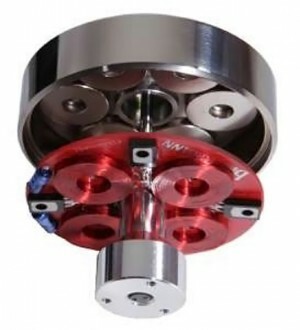 The tonearm base can be supplied with various different intakes, according to the needs of the customer, possible tonearm lengths are 9 – 10.5 inches. It’s possible to lead the connecting cable of a tonearm directly out of the base or to have two phono sockets mounted. The record platter is machined from a massive block of special aluminium that exhibits low resonances due to the defined contents of lead and copper. The 90mm height of the platter and a firmly inserted crystal glas disk allow for a total absence of resonances. The crystal glas disk provides an extremely smooth and even surface and a record clamp for the safe fixing of the records is included. Through a plastic ring in the center of the platter the record is raised slightly and pressed back onto the disk through the record clamp at the outer rim of the label. Thus permitting a very good contact between record and platter and allowing a fast transfer of the tracking resonances from the recod to the disk. The motor with its switch unit is placed on its own beside the chassis-platter combination. A motor control especially developed for this turntable drives a Pabst motor electronically at the exact speeds 33 and 45 r.p.m., both speeds can be fine adjusted independently via two rotary switches. A precisely machined round belt transfers the motor drive to the platter. The new Sinus motor is better suited to driving a high mass platter (almost 46 lb) like the ones found in the LaGrange and Balance turntables, while the use of a 4-phase (4 times 90°) drive circuitry enables a very smooth rotation without cogging. The arrangement of the driving coils and the neodymium magnets in combination with the drive circuit achieves 16 “pulses” per revolution. Additionally a large rotating mass of 500 grams, achieved by using a nickel-plated steel motor body, works likes a flywheel. This drives the platter of the turntable with a very even force and reduces vibration. The smooth and quiet rotation of the motor allows longer instrument sustains which results in more detail, resolution and musicality. The frictionless flow of the motor movement is readily apparent in the effortless flow of the music. The new motor generates more torque and is therefore able to reduce the start-up time to a few seconds, no problem for the new vacuum tube power supply RöNt II, which is also able to handle the direct drive motors as well. The turntable comes with its own transistorized power supply, but is best driven by the optional RöNt II tube power supply, allowing for the clearest mains source available. Normally the motor is driven from the same supply that feeds the heating of the bearing. When the RöNt II tube power supply is switched in, the motor is automatically driven from this power supply, the transistorized one remains for the heating. Platter weight 18 kg, Ø 316 mm, height 90 mm. easy and quickexchange and adjustments are provided via a collar system. The newest addition to the Brinkmann product range is the 2-arm Balance. The 4 phase (4 times 90°) Sinus motor of the Balance enables a very smooth rotation without cogging. Copyright © 2014-2018 audio salon • All Rights Reserved.